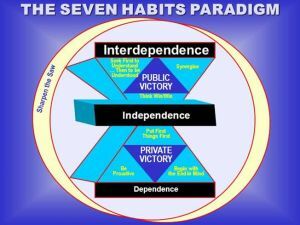 The Seven Habits of Highly Effective People by Stephen R. Covey. "My model for business is The Beatles. They were four guys who kept each other’s kind of negative tendencies in check. They balanced each other and the total was greater than the sum of the parts. That’s how I see business: great things in business are never done by one person, they’re done by a team of people." "Being the richest man in the cemetery doesn’t matter to me. Going to bed at night saying we’ve done something wonderful – that’s what matters to me."